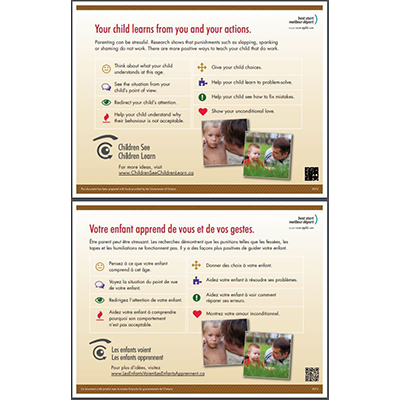 This mini-poster (8 ½ X 11”) offers tips to parents to integrate positive discipline in the interactions they have with their children. The resource is in English on one side and in French on the other side. It directs parents to the website Children See. Children Learn.